The Tea Drinking English Rose: You, Me and a Pack of PG! You, Me and a Pack of PG! I have always been a dedicated fan of PG Tips, so you can imagine how I was feeling when I got a little email from the one and only- Monkey! 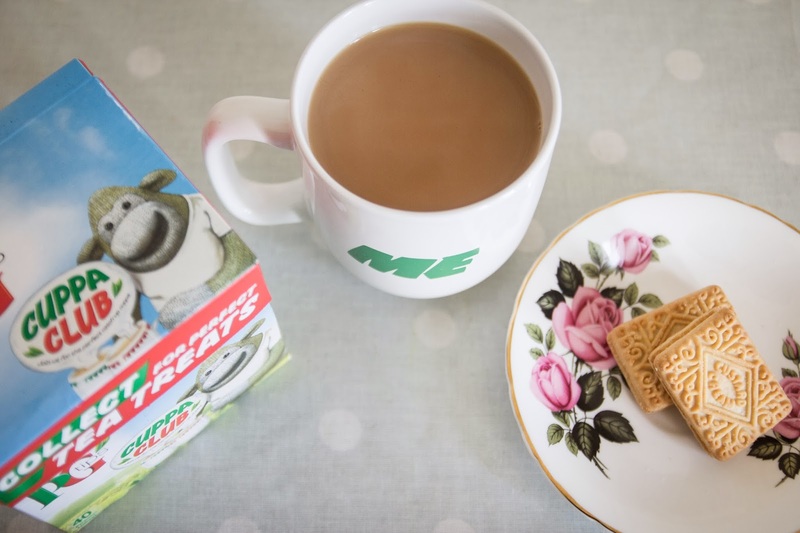 PG Tips are offering a FREE 'You' and 'Me' mug when you buy a pack of PG Tips 160 + 50% extra free in participating Iceland stores. Not only is '160 + 50% extra free' a pretty Amazing deal, but a FREE mug too! The lovely PG Tips team... and Monkey sent me a box of PG Tips and a 'Me' mug with a deal of giving a shout out to a fellow tea drinker. They will be sent a 'You' mug and some delightful tea. I would like the lovely Hannah from Hannah's Homespun Life to enjoy some tea with me from her very own PG mug. Her blog is down to earth, homely and very very tasty and I hope one day to drink tea with her in real life, not just over the internet! This post alone proves I have made the right choice. Hannah, "You, Me and a Pack of PG!?!!" This is lovely, what a sweet idea! Plus, you can't go wrong with a bit of PG. I know we both love the strong stuff! Now I have mental images of us both tucked up on the sofa with our matching mugs a la Monkey and Johnny. Oh dear! Getting carried away. Enjoy your cuppa my love.